Depsol (Imipramine) is a tricyclic antidepressant that is used to treat depression in adults and in adolescents under medical supervision. It is also an FDA-approved treatment for bed-wetting in children. 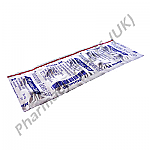 Depsol is supplied as a blister strip of 10 x Imipramine 25mg tablets. When treating depression a low dose (up to 75mg per day) is usually prescribed and this can be gradually increased on the advise of your medical specialist up to 150mg per day or a maximum dosage of 300mg per day. 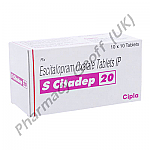 Antidpressants can take up to six weeks to show any noticable effects. Only increase the dosage if advised by your doctor, and do not stop taking this medicine just because you are feeling better. As symptoms of depression subside, the dosage can be gradually reduced. 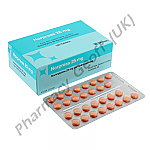 Imipramine is often taken in two or three divided dosages throughout the day. Swallow the tablet whole with a glass of water. They can be taken with or without food, but taking with food can reduce stomach upsets. Imipramine can cause some unwanted side effects. Some are minor and can be expected, while others are more serious and will require immediate medical attention. The following side effects should be mild and transient. Tell your doctor if they become a worry to you. The following side effects should be considered serious. Contact your doctor or seek medical assistance immediately if you notice any of these. Tell your doctor if you a pregnant, trying to become pregnant, breast-feeding, or planning to breast-feed. Imipramine can cause problems to the baby if taken when pregnant, especially during the last 7 weeks of pregnancy and for one month after the birth. Imipramine is also passed through the breast-milk. If you are a smoker, nicotine can change the effectiveness of Imipramine. Tell your doctor any medicines you are taking epecially any other anti-depressants, heart medicinces, blood pressure medicines, sleeping aids, medicines to prevent blood clotting, anti-seizure medicine, thyroid medicines, Parkinson's disease treatments, anticholinergic medicines, disulfiram, cimetidine, nicotine patches or gum, cold and flu medicines or oestrogens. If you experience any suicidal thoughts while taking Depsol, contact a doctor or emergency centre immediately. It is not recommended to drive a car, operate machinery or drink alcohol until you are aware how Imipramine affects you. Only change your dosage if your doctor has advised you to take more or less Depsol (Imipramine).